Americans adore romance. Almost all of us long to fall truly, deeply, madly in love sometime in our lives. Inspired by cultural myth, movies, magazines and music—according to one count, some 83 percent of pop songs lilt about romance—we search for love in campuses, offices, clubs, fitness gyms and internet sites offering warehouse quantities of potential partners. Review this list of maxims and relate them to your current situation. Take time to think about the relevant insights and how to apply them to your soul mate journey. All too often, we don’t realize what we had until we’ve lost it. Anything we desire more than God becomes an idol. As God changes you, so does your future. Because of God’s sovereignty, your past journey will lead to future destinations. Best is revealed through patience and perseverance. Best is worth the wait. Chemistry is a feeling. Compatibility is a fact. Chemistry without compatibility is dangerous. Desire can overpower reason.You want someone so much that you overlook or are blinded to the things that really don’t fit. Don’t let your fantasies get in the way of the real thing. Don’t compromise your relationship with God for the sake of another relationship. Don’t misinterpret friendliness as desire. God brings good out of bad situations. But if the bad was caused by our disobedience/rebellion, the good is not the best we could have had. God can change everything in an instant! God is more committed to our spiritual growth, development, maturity than He is to our immediate happiness. God is more interested in the journey than the destination. God specializes in arranged marriages. God, the ultimate Matchmaker, will not violate His principles. God’s good from bad is mercy. God’s ideal best is grace. God’s standards are the only absolutes. Everything else is relative. Good is the enemy of the best. Impatience tempts us to help God by using substitute solutions. It’s not about you, it’s about Jesus. Let God be your GPS guide through life. Let God be your Matchmaker. Opposites attract — but later they can frustrate. Our distorted best is illusion. Perception is reality — even when it is not. Small investments in relationships can pay big dividends. Stingy with money, stingy with love. Takers haven’t developed the ability to love selflessly. The deeper the valley, the higher the mountain on the other side. The grass is always seems greener on the other side of the fence. There are more takers than givers. Look for a giver. There are no regrets when you lose someone you don’t value. There is no need to be selective if you have no desire for marriage. Trust God more — rely on self-effort less. What you love the most, you pursue most. Set your affections on Christ. With a new perspective, everything is different — even though nothing has changed. You can’t earn a gift from God. 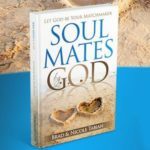 You don’t win your soul mate’s heart, God will give it to you. You have to be the right person before you can meet the right mate. You naturally expect others to treat you the same as you would treat them. Your view of God determines how you live.